CodeSleepShred – There's times where you have to disconnect and enjoy bliss. The standard recommendation is to create a desktop shortcut… but there is an issue with this I mention below. Now, I’m not sure how well optimize this will run… I’m streaming single PC, 720p at 60fps. I’d like to bump it to 1080p 60fps, however I don’t want to impact my game FPS or have OBS take a performance hit either. Give this a try and let me know in the comments below how well it performs! Caught The Raspberry Pi Bug! I’ve recently caught the Raspberry Pi bug when I walked into Fry’s Electronics and started looking at all the awesome “Maker” gadgets on sale. I have always wanted to pick up a Pi and find a purpose for one in the household, and I’ve recently fallen in love with Raspbian and Kali Linux. My first Raspberry Pi 3 Model B I picked up at Fry’s electronics came bundled with a breadboard, LED lights, and basic resistors for learning. Unfortunately the documentation that’s supposed to be coupled with the kit wasn’t the best. I might revisit this in the future after finding the “Freenove RFID Starter Kit” with a link to a fairly up-to-date Github repository with thorough documentation. Currently I am using the Raspberry Pi as a motivational piece of hardware to keep tinkering away with Linux based operating systems. I am currently using both Raspbian / Debian and Kali Linux on a single Pi. At the moment, I am only using the Pi as a sandbox I can easily SSH or VPN into and not have to worry about juggling VM’s locally. I also want to continue working with the hardware to get into more advanced adventures like setting up security cameras, lasers, perhaps load Docker onto a Pi! With the announcement of Raspberry Pi 3+ I decided to purchase second board and have begin thinking about what I could possibly do with two… or more! I certainly would like to be apart of the #MakerRevolution! Below is how to generate a self signed certificate for Mendix Outgoing Connections. This procedure does not include authority certs. Java will kick back for generating self signed certs. You’ll need a certificate authority. Below are notes of the process for self signed. Use CSR to generate certificate and sign with private key. Note: Common Name should contain the domain intended to use. Create the pfx container using the Certificate, Key, and encrypt the container. 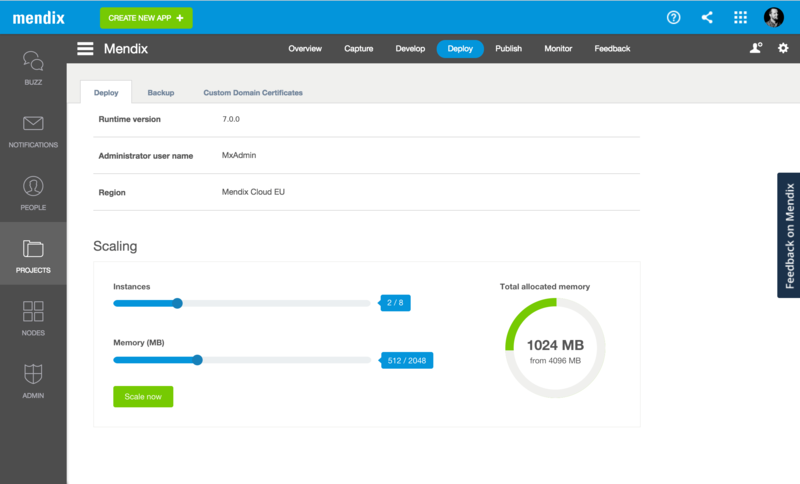 Provisioning a Mendix server instance on AWS EC2 we will use the base Amazon AMI image (flavor of CentOS). JRE 8 is required for Mendix 6 and above. Below is the commands to grab linux-x64. Reference the link below to the Oracle downloads page for latest version. AWS issue, this file structure methodology will not scale, need to consider other options on how to redeploy this in a stateless matter. example config provided, lacks setting up nginix for this scenario. My Subaru WRX Wagon got broken into, I wanted to create a short how-to replace the rear WRX Wagon door window. This video is fairly straight forward for any Subaru guy with a 10mm socket, ratchet wrench, and a few screw drivers. You can combine git add & commit together into one command to save time. The command below defines a git alias. I just installed a fresh installation of Sierra on my Hackintosh and couldn’t for the life of me get XAMPP to run properly! I got “Access Forbidden” on my localhost and vhosts.I figured I’d write a few notes for people that run into this issue running XAMPP on your Mac. Please comment below if you don’t agree with or see a flaw in my notes and I can test and update your feedback. This guide assumes you already know basics behind XAMPP/WAMP stacks and are stuck getting it running on OSX. 1.) Open up XAMPP and click the tab Manage Servers. Highlight Apache and click Configure. Click Open Conf File. This will open your httpd.conf file. 5.) Remove the example code -or- comment all of it out. 7.) Restart Apache services in XAMPP’s Manage Servers tab. This part is the one thing many would disagree with and I’m not 100% a way around this in macOS Sierra. Previously I’ve simply chmod 644 -R my working folders but I couldn’t for the life of me get around the forbidden error. If you know a better way around this please comment below. If you’re not familiar with vhosts on a local XAMPP stack, the hosts file allows you to overwrite local DNS routing on your machine. In our scenario, we will one for our local wordpress environment. Are you having troubles with this article? Please feel free to leave a comment below or Tweet me at @eddihughes – I can go through the article and update any steps that may have changed. Trash Doves Sticker Pack for Telegram app! This took me a while to find! But I’m really stoked to have this on all my clients. If you want Trash Doves on Telegram app download the sticker pack here! Please follow @SydWeiler on Twitter and tell her how much you love her work! Always working from PowerShell, CMD, Git Bash, or Git Shell? Ever want to tweet from the command line while your pushing code to your Github repository? I was interested in doing this on my laptop, making it easy to tweet on the go while I’m coding away at a coffee shop. I’d like keep my phone face down or in my pocket to avoid distractions… But that urge to tweet happens to often. Windows Store Twitter app is crap, and Twitter.com in browser is always sluggish… Let’s just tweet from the command line! 2.) Run cmd.exe or PowerShell. I prefer to use Git Bash. 4.) Now we need to see where npm installed the npm_modules folder. It will return a path that we need. 5.) Open File Explorer, Right Click “This PC” -> Properties, click Advanced system settings, then click Environment Variables. Copy and paste the path that npm root gave you into your Windows 10 Systems PATH. 6.) Close your CLI window and run it again in Administrative Mode. 8.) It will give you an authorization URL that you have to copy and paste into your browser. Once the page loads, login and authorize RaedsLab app and it will give you a token to enter.